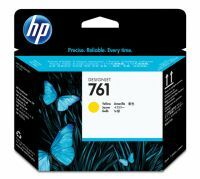 HP 761 DesignJet Printhead produces crisp, cost-effective drawings and impressive, high-quality colour presentations. Enjoy low-maintenance, high-productivity printing, so you can print with ease and deliver with confidence. CH646A HP 761 DesignJet Printhead produces crisp, cost-effective drawings and impressive, high-quality colour presentations. Enjoy low-maintenance, high-productivity printing, so you can print with ease and deliver with confidence. Get crisp text and fine line accuracy. Produce sharp, cost-effective monochrome CAD drawings. Impress customers with accurate renders, professional images on photo paper and stunning presentations. Keep your printing running smoothly with Original HP DesignJet printheads. Maintain high productivity and experience fewer interruptions. Built-in intelligent technology maximises usage life and optimises quality and reliability. Receive alerts when supplies need to be replaced. Doing it yourself is quick and easy. Recycle your printheads - the HP Planet Partners program offers free return and recycling. 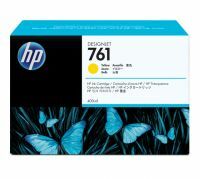 To Recieve updates and possible rewards for Hewlett Packard (HP) HP 761 Magenta-Cyan Designjet Printhead please sign in. To Recieve updates and possible rewards for Printer Cartridge, Ink & Toner please sign in.